So much has been happening in our beautiful world! 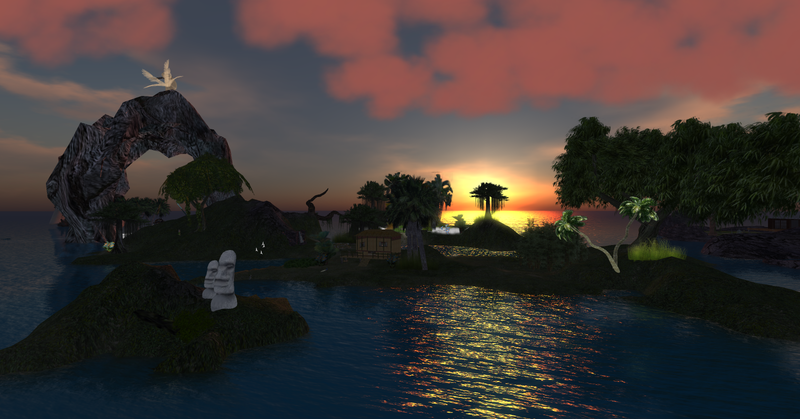 I have been caught up in the everyday intoxication that has become my life in InWorldz! 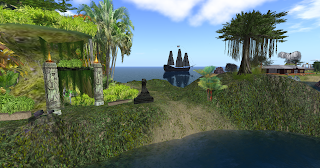 From the arrival of our wonderful scenic sims - Come visit Rima, off the coast of Animated Spirits! to the continuing creation of poses and animations, decorations, furnishings and what have you! Family, RL, we are born to, friends are family we chose. And my dear sis in virtual, Bec Jigsaw, has been an amazing help to me. Besides her daily sunshiny attitude in both RL and VR. Recently she accomplished what others had tried so hard to over the course of time- she taught me MLP!! So of course, I have been an MLP'ing fool, sticking menus in everything that will hold still for it. He reaches out to her and she leans into his arms. Looking up into each others' eyes, they are drawn closer for a soft kiss that ends with her resting into the comfort of his embrace. Come bring your sweetheart over and test drive this gently expression of love. Builder's and Consumer Editions available today at The Animation Station! New papasan chair for your casual moments. Includes four Single sits and two Couple Cuddles.